When we pack for a backpacking trip, we pack the essentials to ensure our survival. Simply put ~ Food, clothing and shelter. But, there are other tricks we have up our sleeve that we can’t do without on the trail. Please do not make me leave my 4 year old trusty compression gloves at home! Lucky charms, tradition or superstition, call it what you will. I’m a firm believer. If it works to ensure a safe and uneventful trip for us, then I make sure I do the same thing over and over again. I wear the exact same clothes. That way there is no overthinking of what to wear. Worked last time. It’ll work this time. Unless I’ve gained weight and have to buy something new ~ which now makes me cranky to think that I have gained some weight and I’ll be a Nancy-No Fun on the trail. 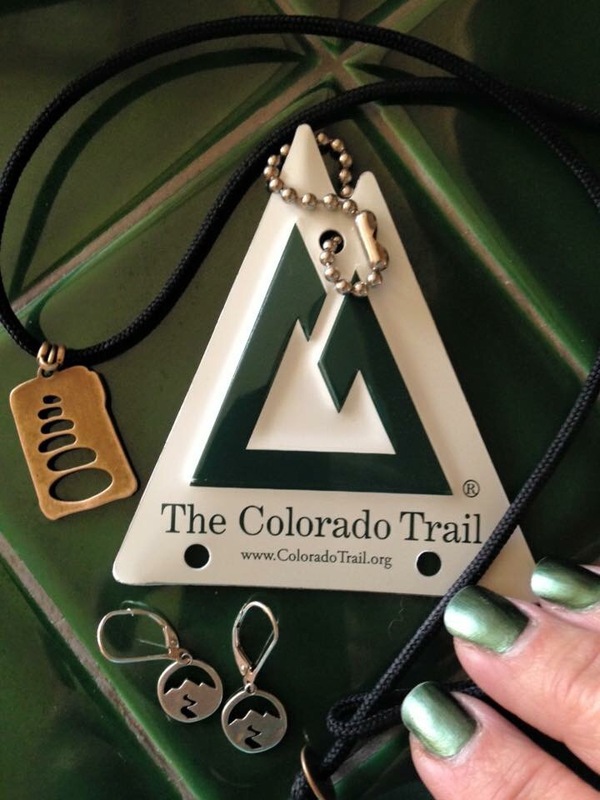 I wear the exact same jewelry as I did on the previous backpack trip and I paint my nails the color of the trail I’m on. Before our hike in the Grand Canyon, I had scheduled a nail appointment. I thought that was a silly thing to do, as I’d probably screw up a good manicure. Nope! It turns out that my nails were extra strong and didn’t break. Plus, they looked good, too! They hid the dirt well. We all need to utilize a little vanity every now and then, plus have fun with it. The only jewelry I wear while backpacking and my CT green nails! Before our hike on the Colorado Trail, I scheduled a manicure. My nail technician suggested I paint them the color of the iconic trail markers. They matched perfectly! I wore the same jewelry on the trail that I had worn in the Grand Canyon. Spidey always goes where Dale goes…. They’re a team! Dale packs his lucky Spiderman bendable action figure as his co-navigator. He goes wherever we go. He transfers Spidey from his daypack to his backpack when necessary. That little man goes with us wherever we go. Why? No reason other than it wouldn’t feel right if we left him home. Then there is the trowel I carry. It can always be found on the left side of my pack. Dale suggested putting it on the other side and I about stroked out. I don’t know why I can’t pack it on the right side ~ I just have a phobia about screwing up the good vibes. When I try to go against the grain, it just doesn’t feel good. I have an irrational fear of screwing up good karma on the trail. So I do everything in my power to make sure I won’t upset the trail gods. All our pack trips have been successful and uneventful. So, I believe all our charms, superstitions and traditions have paid off. What are your superstitions? Do you have any lucky charms to ward off the bad vibes one might encounter in the woods?